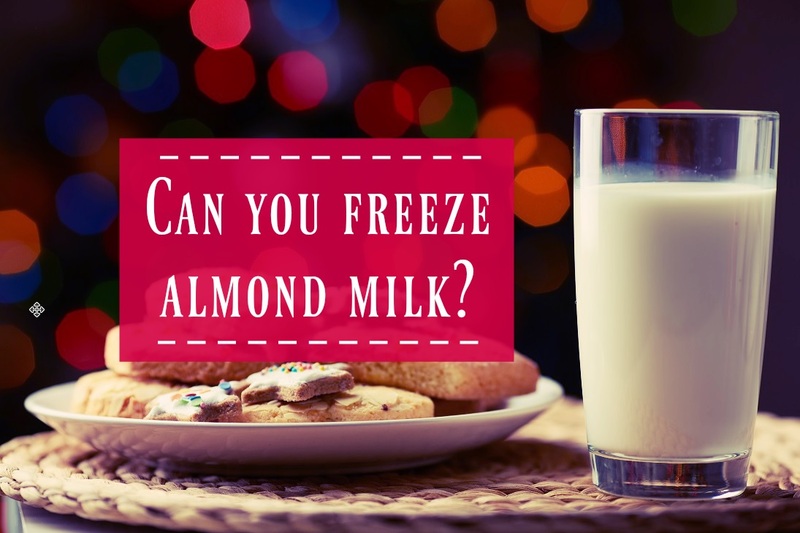 Home » Blog » Can Almond Milk be Frozen Successfully? Can Almond Milk be Frozen Successfully? Should You Freeze Almond Milk? 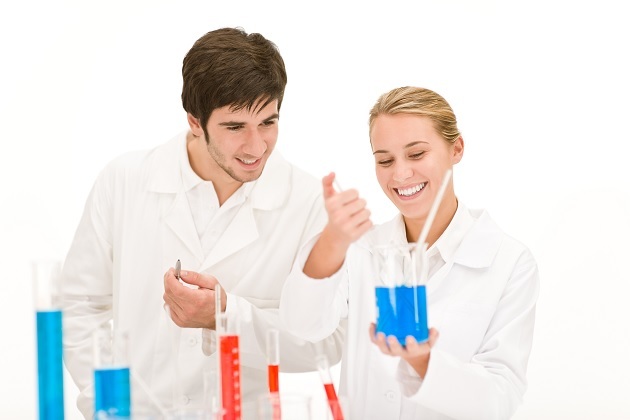 A keen focus on health has become a staple of American culture in recent years causing many to turn to plant based diets. As with most things in today’s economy, almond milk is not cheap. Most that drink it can agree that buying it feels like Christmas and wasting it feels like a crime punishable by death or acid reflux, whichever is worse for you. So what are we to do when we don’t finish a carton of almond milk or have too much to store? Freezing it would seem like the most logical answer, but will the Almond Milk Gods approve? First of All, Why Almond Milk? Almond milk is the most popular dairy milk substitute used today in the United States. It is dairy, lactose, gluten, soy and cholesterol free. It boasts an average of about 80 cal. and the 140mg of sodium per cup making it a great choice for those with dietary restrictions or those who simply want to shed a few pounds. 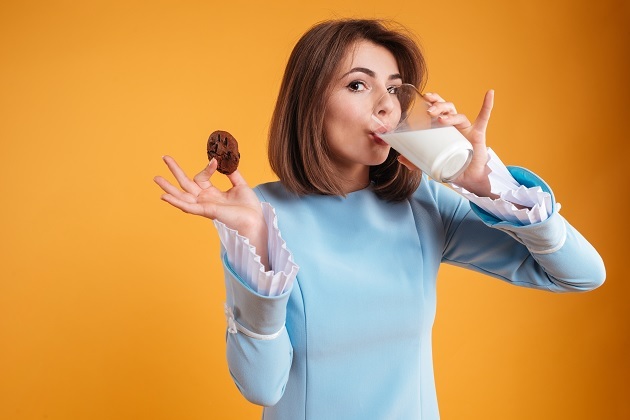 Medical News Today highlights seven benefits of almond milk including its high vitamin D levels and its ability to aid in reducing heart disease. (2) Health benefits aside, almond milk is great for those who want to avoid cow milk for personal and social reasons. Some choose not to eat animal based products at all because they believe it is unethical and poses greater health risks than eating plant based foods. Some choose almond milk because it is not known to be made with genetically modified plants like some other plant based milks are. Did you know almond milk even has religious significance? During Medieval times, it was known to be acceptable to drink or cook with during Lent. (3) Some still drink almond milk specifically during Lent when choosing to abstain from all animal or dairy products. Another benefit of almond milk is its long shelf life compared to cow’s milk. While cow’s milk can only be kept for about two or three weeks whether it’s opened or not, almond milk can be stored unopened for at least a month or two either in the refrigerator or in a pantry depending on the packaging and the milk’s storage in the store. This can really be appealing to those that like to stockpile their groceries and make their food stretch. Once opened, most manufacturers require the milk to be refrigerated and used within a week to reduce the chances of contamination by bacteria. This benefit does not apply to homemade almond milk since it does not have any preservatives to help fight off bacteria. It should not be kept in a pantry at all and should be used within a few days of being prepared. Whole almonds are a healthy snack, so many would assume almond milk is a great way to get concentrated benefits akin to juicing vegetables. The truth is, almonds are a fraction of what goes into the almond milk so most of the benefits are heavily diluted. The almond milk at the grocery store is normally beefed up with vitamins to add nutritional benefits back in from the almonds and some that come from cow’s milk as well. If that makes you squeamish, don’t worry. Almond milk can easily be made at home for an unprocessed alternative. At its core, almond milk is simply a blend of almonds and water. Almonds are soaked in water, removed, and blended with a new batch of fresh water. The lumpy mixture is then strained until only the “milk” is left. A less common way of making almond milk is to add water to almond butter, but this method is normally used for homemade milk. Almond butter is prepared in a similar way to almond milk except the almonds are roasted after being soaked and then ground into a buttery paste before being flavored. Almond milk can be prepared plain, with vanilla, chocolate, cinnamon, or other flavors and can be sweetened or unsweetened. Cow’s milk is versatile and since almond milk is used to replace it, some choose to keep different flavors on hand to serve different needs. The sweetened and unsweetened vanilla flavors are great for milkshakes, smoothies, coffee, cereal, and baking pastries. Chocolate is good to drink as a treat and in smoothies and milkshakes. The plain unsweetened almond milk is better to use in all capacities including cooking milk based foods like macaroni and cheese since it is the most neutral in taste. Almond milk has a nuttier taste than cow’s milk, but the less flavors and sweeteners added, the easier it is to blend into foods unnoticed. Technically, almond milk can be frozen in the sense that it will safely freeze and thaw. Manufacturers, though, do not recommend it as it adversely affects the quality of the milk. Have you ever frozen and thawed store bought juice or soda and noticed that the water had separated from the rest of the ingredients? The same phenomenon happens when almond milk freezes. The milk will have separate thick and watery sections and its color will change to a brownish hue. Not only does this look pretty gross when poured into a glass or cereal, it also greatly reduces the taste of the product. Just like the soda, thawed and stirred almond milk will not taste terrible, but it will definitely taste worse than if it was only chilled. Another problem is the shortened shelf life once the almond milk is thawed. Manufacturers recommend using frozen almond milk within two to three days of thawing versus a week after opening if stored in the refrigerator or cabinet. If you do not plan to use all of the frozen milk immediately after thawing it, you can still end up wasting it. In spite of the manufacturer’s warnings, many people swear by freezing almond milk and have even come up with a few clever tricks to counteract the separation. With proper care and preparation, it is possible to freeze almond milk and salvage as much of the original flavor as possible. If you want to freeze the almond milk to drink or cook with in the future, you must use an airtight container. The best options would be the original milk carton or glass containers like mason jars or other up-cycled jars. Liquid expands in the freezer, so make sure there is at least an inch of room between the top of the container and the milk so it does not explode. If you choose to use the original container, you will have to use a little milk or pour some out to make sure there is space. After that, freeze as normal. When you are ready to use it, thaw the milk in the refrigerator to maintain its cool state. Thawing it on the counter will only expose it to bacteria as it warms. You must shake or stir the milk before you use it again to blend the product back together and redeem some of the taste. They show the milk being poured back into the original carton after blending, but it may be better to pour it into a new pitcher since the carton may have leftover residue inside. Arguably the best workaround for dealing with the separation and altered taste is to freeze the almond milk in ice cubes. These cubes are not typically meant to be used to drink, but work great for smoothie prepping and dairy free milkshakes. To do it, fill an ice tray with almond milk then freeze it as you would water. I would recommend putting cling wrap over the tray so none of the odors in the freezer get into the milk and alter the taste any further. 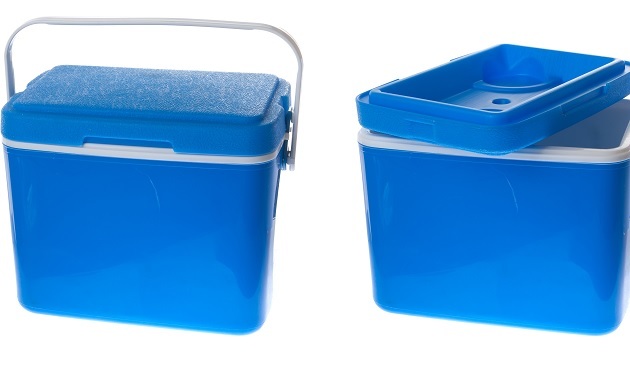 If you do not want to keep ice trays full of milk in the freezer, transfer them into freezer safe storage bags after they are completely frozen. You can take it a step further and group them into smoothie sized portions (four cubes is roughly half a cup of milk). When you are ready to use them, just throw the cubes directly into the blender for a smoothie with a creamy texture and delicious almond flavor. his method could be a great time and money saver since the milk will have a specific purpose and does not need to be altered after freezing. So is the verdict out? Can you freeze almond milk? The long and short is: it depends! There is no right or wrong answer for this one, it all comes down to your personal preference. If you are peculiar about the taste of your milk, freezing is probably not the best option for you. When you are more concerned with stockpiling grocery staples or are a meal prepping whiz you may want to try it. How you freeze it makes a difference in its use after thawing. Use an airtight container with extra space. Blend well after thawing and use it quickly.